When it comes to abandoning fossil fuels and discussing the future of energy, few technologies garner more attention than batteries. Simply, like most technologies, they need to become smaller and more efficient to play a significant role in changing our usage of power. But what about batteries becoming transparent? Researchers at Stanford University have developed a battery that allows about 60 percent of light to pass through its structure. If you are a materials and chemistry buff, you can read the exact methodologies and compounds they used in their paper in the Proceedings of the National Academy of Science. In layman’s terms, the team reworked the components of the electrodes into a very thin, square meshwork-like structure. Most other components of the batteries could be replaced with transparent materials, but not the electrodes; no workable materials for electrodes can be made translucent. Yet, the human eye can only perceive objects 50 to 100 microns wide. So the researchers managed to get the threads of the electrode meshwork down to about 35 microns in width and stack them on top of one another. The changes did sacrifice some power; these batteries are only about half as powerful as a lithium-ion battery of roughly the same size. 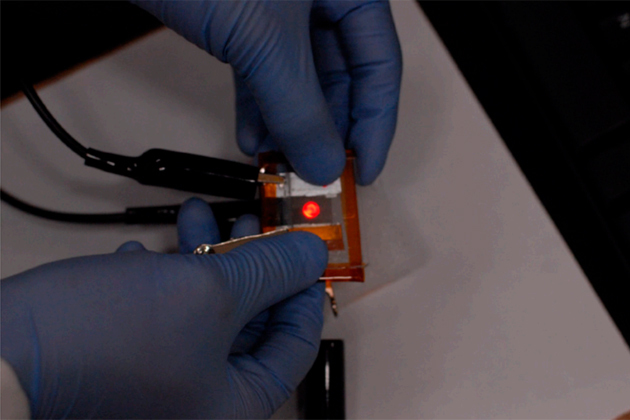 The hope for these batteries is that they can be utilized for future transparent devices, such as screens or visual aides that require power but also need complete transparency to retain their optimal functionality. While 60-percent transparency is not 100 percent, with further work and development, the researchers believe they will be able to improve and optimize the design.